This week for S.T.E.A.M. Saturday we are sharing our school science fair project. I let JaMonkey pick out what she wanted to do and she landed on Color Changing Flowers. I let her do everything, including processing the data for the project. I just filmed it so that we could share it with you. 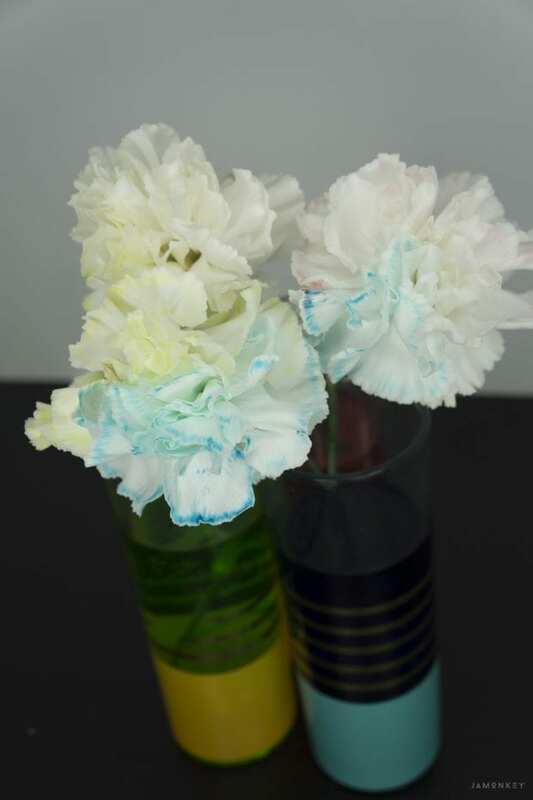 After we were finished we played with some of the leftover flowers and food coloring to make tie-dyed carnations as well. Here is the full video. Our experiment tested the vibrancy of the flowers when you use more drops in the water. We did one drop, three drops, and 6 drops. Research Question: Does the amount of food coloring used in each tube affect the darkness of the flower? Hypothesis: No, I (JaMonkey) don't think it will affect the darkness of the flower. 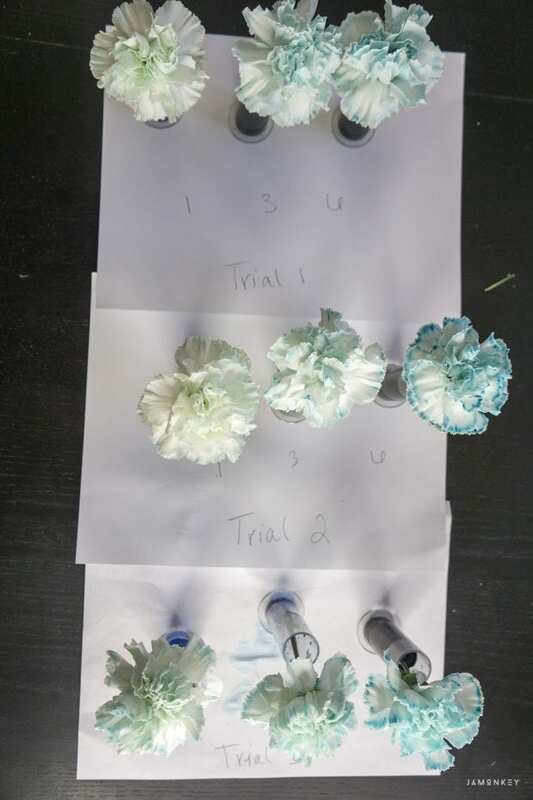 After three experiments were proved that the hypothesis is false and that the more drops you use, the darker the color will be in the flower petals. We completed the experiment and made tie-dyed flowers as well by splitting the stems in half and placing each half in a different color. 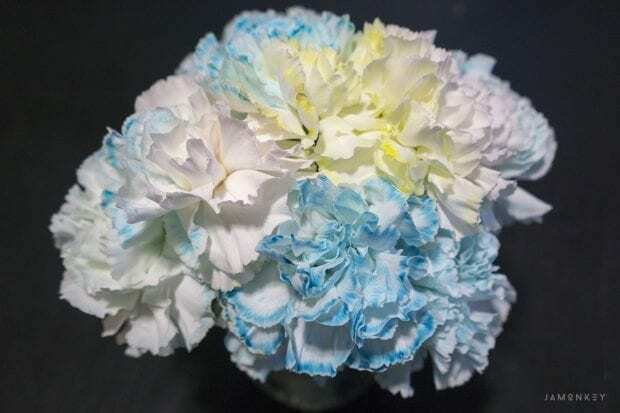 This resulted in carnations that were half one color and half another color. We did a red/blue, red/yellow, and a yellow/blue. 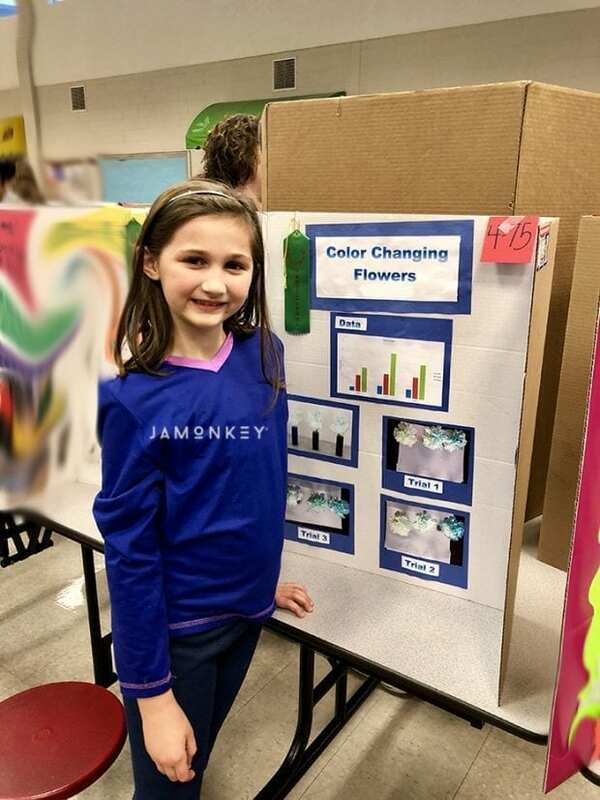 While this experiment is a fun one to do together as a family for fun, it was not the best choice for a school science fair project because the data is hard to prove and articulate. Testing the vibrancy of a flower is visual and cannot be measured without some type of equipment. School science projects are judged based on the data collected and analyzed. The winners always had hard data that they collected and measured. Next year we will be more prepared! She still passed and earned a great grade on the project though. Oh that just looks amazing!